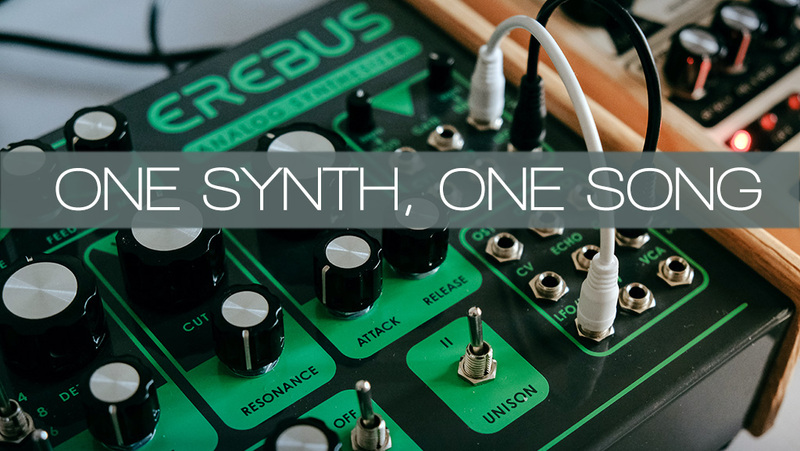 Today we’re excited to launch One Synth, One Song – a new series of articles where we’ll feature unsigned artists creating a tune with just one synth (and some external processing). Why this series? One of the best ways to overcome creative blocks and to make the most of the gear we have is to push ourselves and create new challenges (read also our Summer Trip Challenge). For instance, creating a song with one instrument can help you get to know it better, discover new techniques and also realize what kind of sounds it can do better. Even if it’s not your cup of tea, making a complete track with just one synth and a few effects will be a great exercise in synthesis and sound design. Besides, you’ll likely come across new musical ideas. Once you try this approach, you may be shocked to find out how powerful your gear is! In this first episode, we’re featuring “A Song For Those We Have Lost”, created with a Dreadbox Erebus and external processing by Cyborg See Cyborg Do. This is the moniker chosen by Rostislav Goncharov, an electronic ambient artist from Perm, Russia. His musical influences include Brian Eno, Steve Roach, Justin Broadrick and Regina Spektor, among many others (you can also find him here on Soundcloud). Here’s the track we picked, A Song For Those We Have Lost. Enjoy! Can you tell us more about your workflow? “My workflow is very simple: in my setup, I like to have just one or two synths going straight into my DAW, where they are processed with effects. Before I started making electronic music, I had spent a few years playing bass guitar for local bands, so I was used to focusing on a single instrument and being responsible for manual control over most aspects of my sound. Eventually, this experience translated to my electronic workflow: I prefer to center my attention on just one sound source, and I like to play most parts manually, without the help of step sequencers or arpeggiators. Why the Erebus and how do you use it? “The Dreadbox Erebus is an analog mono synth (which can also act as a two-voice paraphonic synth) and one of the most inspiring pieces of gear I’ve ever owned: it has an amazing sound, it boasts a one-knob-per-function interface, and it never fails to bring a smile to my face whenever I play it. Plus, the Erebus can be easily connected to external gear via the patchbay. 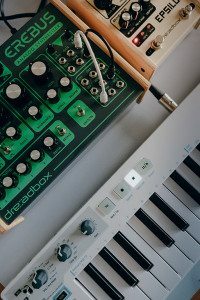 I use the Erebus in conjunction with another Dreadbox product: Dreadbox Epsilon. 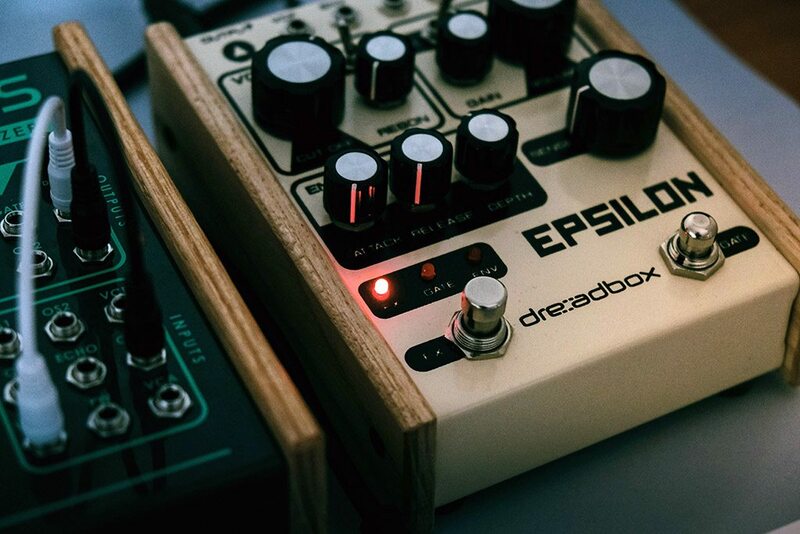 The Epsilon is an analog 2-pole filter/overdrive pedal. The filter has an AR envelope and can function either in lowpass or bandpass mode, while the overdrive can go from barely noticeable saturation to full-on screaming distortion. On top of it all, the Epsilon has a few CV ins and outs of its own, making it a perfect companion for the Erebus. I primarily use the Epsilon as a way to color and saturate my sound before it goes into the DAW for further processing. The main effects that I use in the DAW are, of course, reverb and delay. My favourite VST plugin is Valhalla UberMod. It is a real powerhouse in terms of delay, reverb, chorus and other effects. 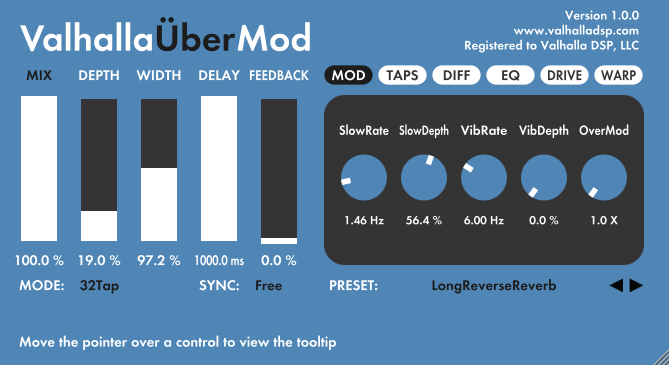 The UberMod finds its way into most of my tracks, and I’d really call it my “desert island” VST, simply because it can do so much. Aside from those effects, I only use a little bit of sidechain compression and EQ, but I never go crazy with those. In fact, I never aim for pristine sound quality and prefer my tracks to sound a bit rough and lo-fi; I also prefer to do most of the sound-shaping right at the source rather than at the end of the sound chain. “Usually, I start with sound design; I find that creating a sound which I find enjoyable is absolutely crucial for further development of the track. In this one, I went for a traditional ambient/post-rock feel, and I based it around a heavily processed melodic sequence which you can hear from the very beginning until the very end of the track. In this case, I actually did use a sequencer (an Arturia Keystep), simply because I needed both hands to tweak all the parameters on the Erebus that I wanted to. The sequence itself is in 15/8, and in order to introduce more variation to it, I used one of my favourite tricks on the Erebus: I patched the LFO (100% depth and a moderate rate) into the VCA, and I also patched ENV OUT to LFO RATE, tweaking the envelope depth as the track went along. This way, I achieved a deep tremolo with a variable rate, and it added a lot of movement to the sound. I also used the built-in echo in the Erebus: it’s not to everyone’s taste because it sounds noisy and dirty, but I find it very enjoyable. 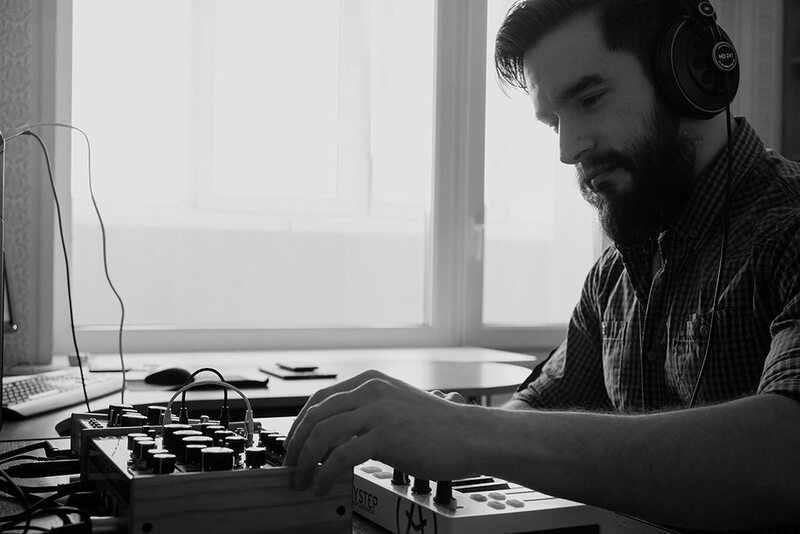 For Rostislav, making music is a form of meditation, and he doesn’t want his inspiration to be hindered by technical issues that inevitably come with a larger setup (keeping everything in sync or working out the optimal MIDI routing, for instance). With his super-sparse setup, he can afford to focus entirely on music. This approach has one more upside: With a large, complex setup, it’s often tempting to expand it even more in order to achieve certain goals; a simple setup, on the other hand, will force you to look for workarounds and to learn your gear inside out. In fact, once you try this approach, you may be shocked to find out how powerful your gear is! 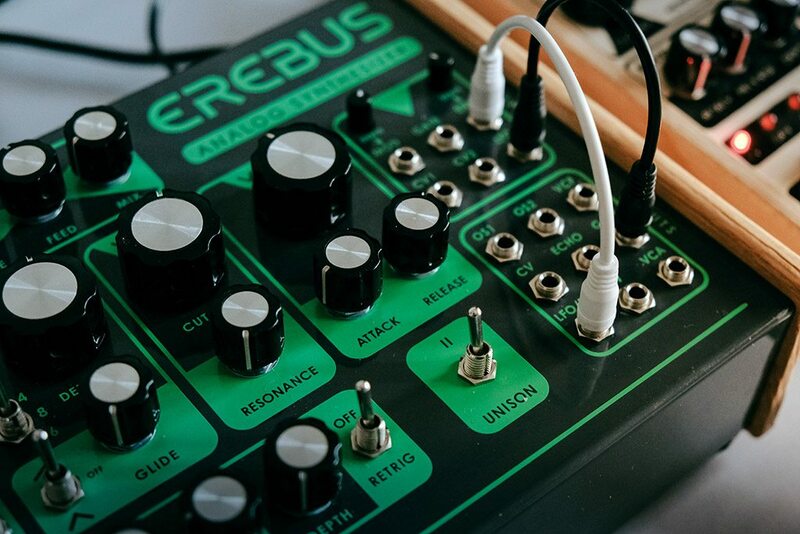 The Erebus is one of the most inspiring pieces of gear I’ve ever owned: it has an amazing sound, it boasts a one-knob-per-function interface, and it never fails to bring a smile to my face whenever I play it. If you enjoyed this article and you’re craving an Erebus, please consider buying using this button. Don’t miss our next episodes, giveaways, and special deals. Sign up for our newsletter here….